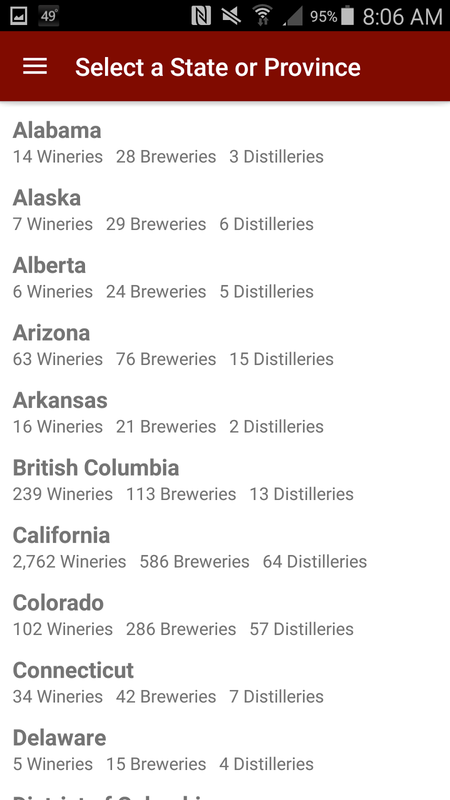 theCompass Craft Beverage Finder Mobile Application displays wineries, breweries, cider houses, and distilleries for North America. 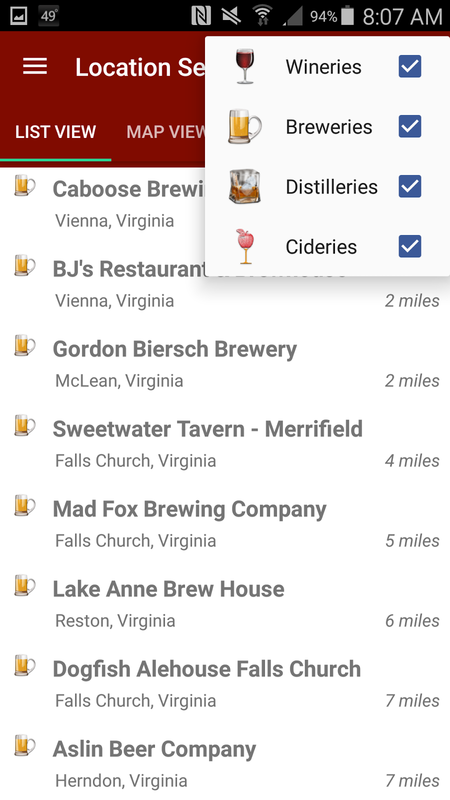 Establishments can be mapped using a radius search of the device's location or by the establishment name, city, or zipcode. 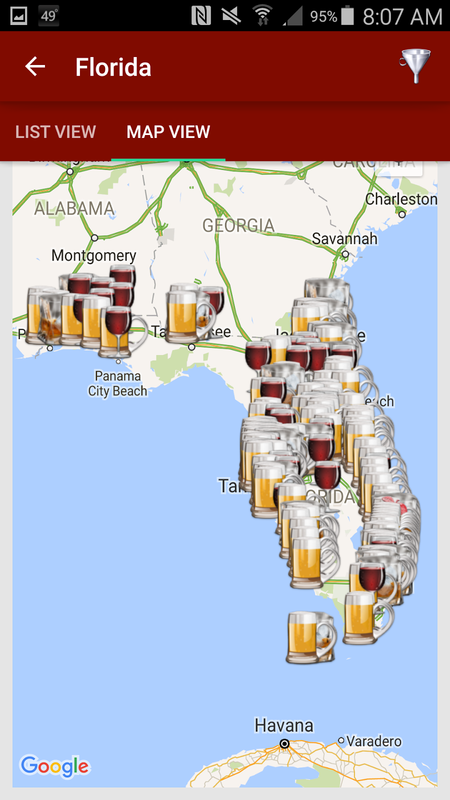 Users can also browse establishments by state for the United States or by province for Canada. 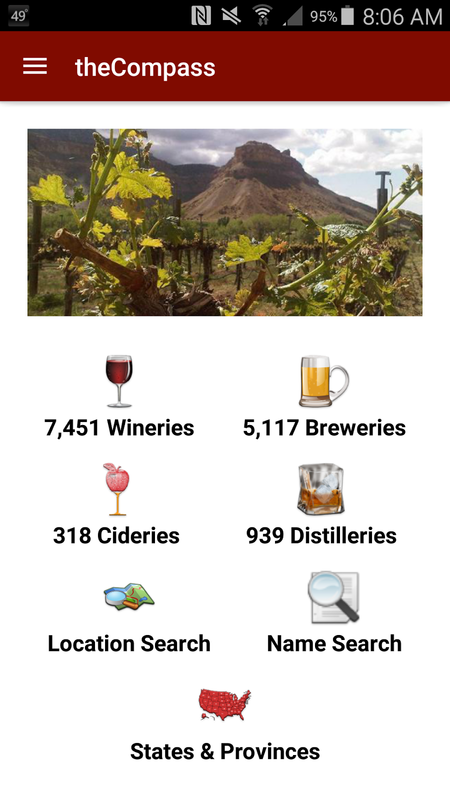 All results can be filtered by industry type (winery, brewery, distillery, or cidery). 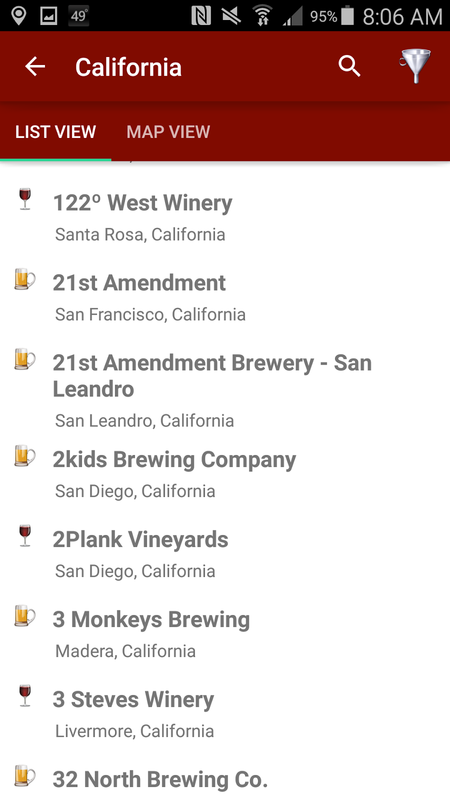 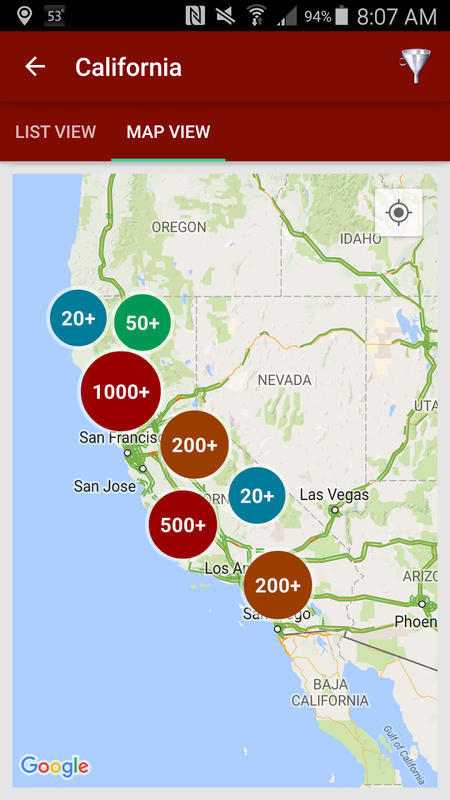 Information on individual establishments can be accessed by clicking the applicable map icon or from the list view. 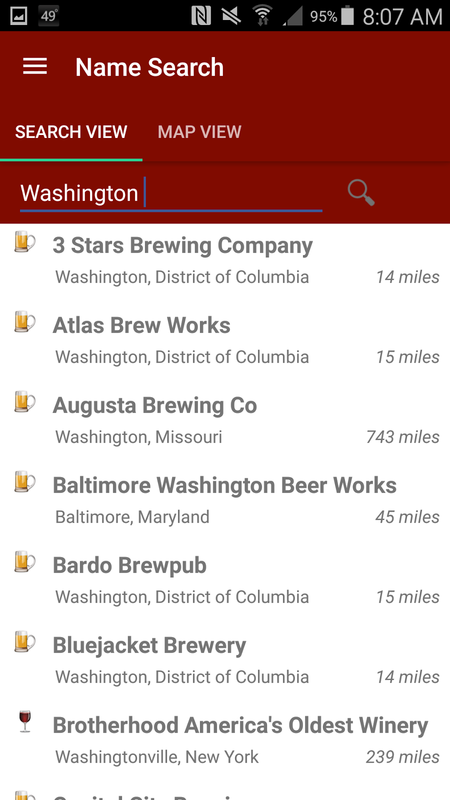 This information includes the establishments' address, phone, email, web address, a navigation link from your device, weather forecast, as well as links to the establishment's Facebook, Twitter and\or Google+ (in Android) pages.You can also share your experience at the establishment on various social networking sites. 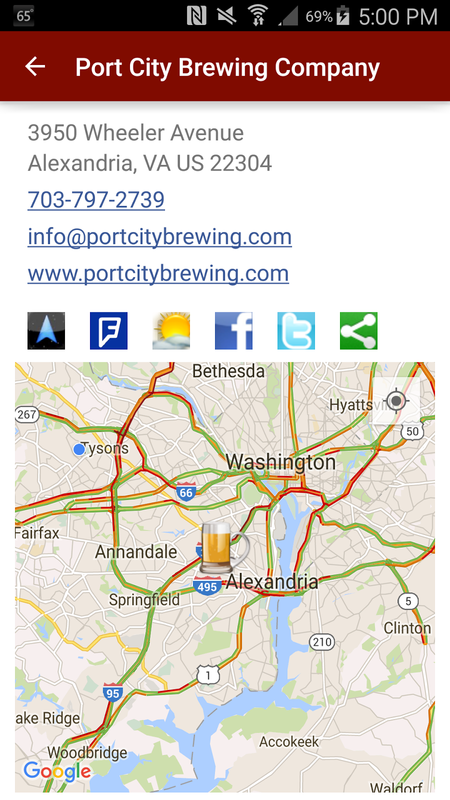 The Android, iPhone, and Amazon versions are all ($.99). @CarolnMD: In NJ for the Special Olympics 2014 USA GAMES. 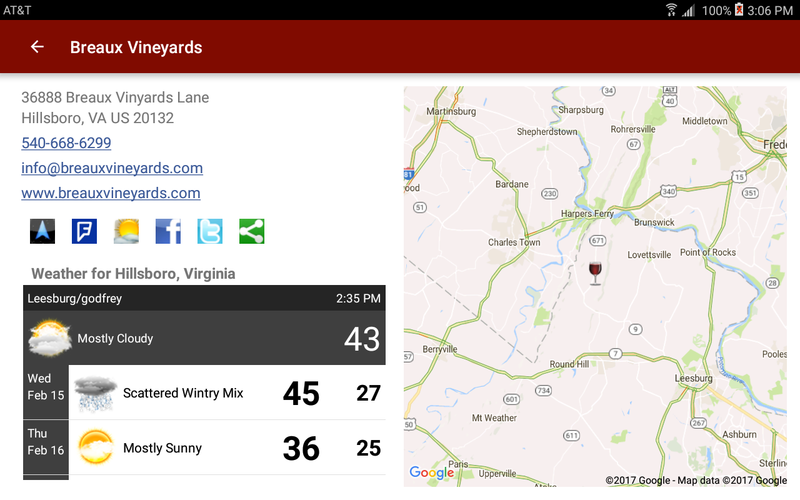 Used #theCompassApp to guide me to Working Dog Winery!